Ashley can't believe it. White Oak Academy is going to require the students to wear uniformsand its all her fault! Ashley wrote an article about dress codes for the school newspaper, and everyone is talking about it. her sister, Mary-Kate, doesn't think uniforms are such a bad idea. In fact, they'd make life a whole lot simpler. But she knows Ashley dreads a fashion future. 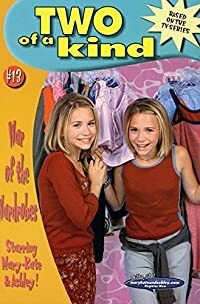 Now, Mary-Kate and Ashley have to devise a brilliant plan to ban the uniformsand fast!